Each timepiece made by Weiss is specially crafted by hand to make it more personalized and, thus, more meaningful. This is especially the case with the brand’s Automatic Issue Field Watch that comes with all the characteristics of an elegant timepiece built for everyday wear or for very momentous occasions. 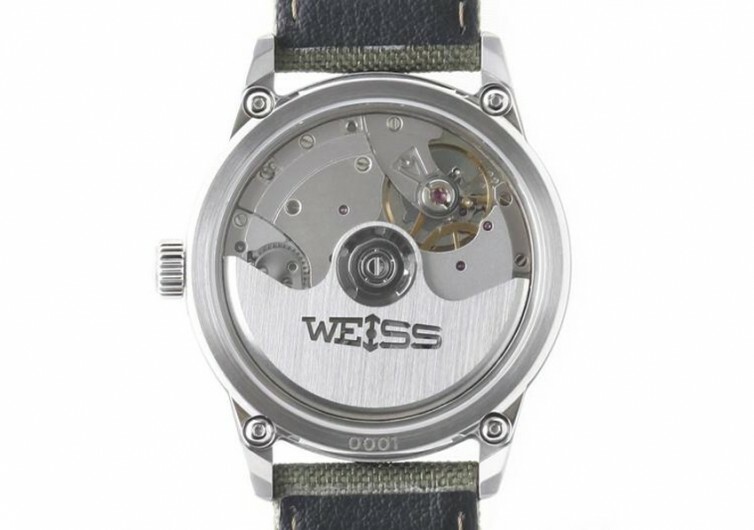 The Automatic Issue comes with Weiss’ signature mechanical movement with an ingenious self-winding mechanism comprised of not less than 150 different Swiss and American-made components. The caliber 2100 mechanical movement comes with a 65-hour power reserve, one of the longest among mechanical watches of this price range. The white dial comes with incabloc shock protection and a sweeping 60-second subdial at the 9 o’clock position. It is machined from naval brass and given black numerals and indices for greater visibility. 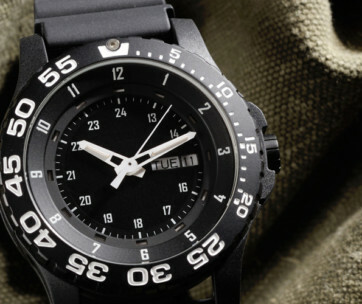 The watch hands come with white Superluminova that works pretty well on a black oxide background. Forming the case is 316L stainless steel, made from one solid block of the metal to give it structural soundness that other wristwatches seem to lack. The case back comes with the same stainless-steel material, but with the addition of sapphire crystal to give it a different sheen. Covering the dial is courtesy of beveled sapphire crystal which has been double-domed to give it a unique appearance. 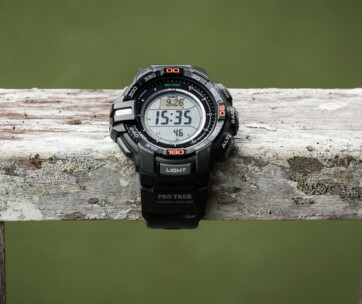 While this field watch is intended as everyday wear, it is never a weakling in stormy weather. 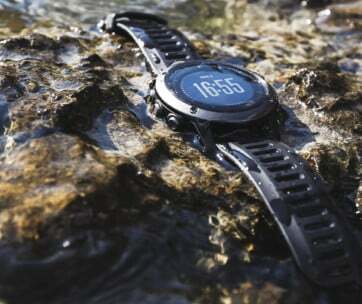 The watch is water-resistant up to 330 feet. 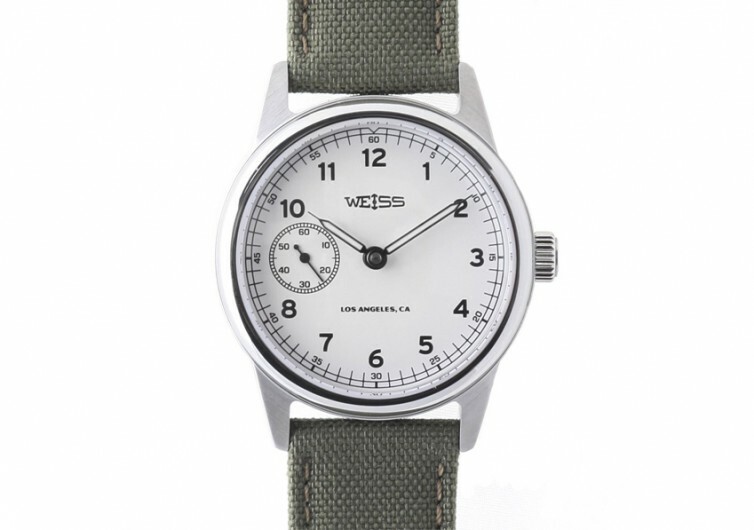 The olive green Cordura canvas strap looks elegant enough to handle the 46.7 mm wristwatch. Each timepiece is individually numbered so you get a very unique identifier to that elegant piece of chronograph on your wrist. The Weiss Automatic Issue Field Watch is built specifically for the man who knows how to have an adventure without sacrificing elegance and style.